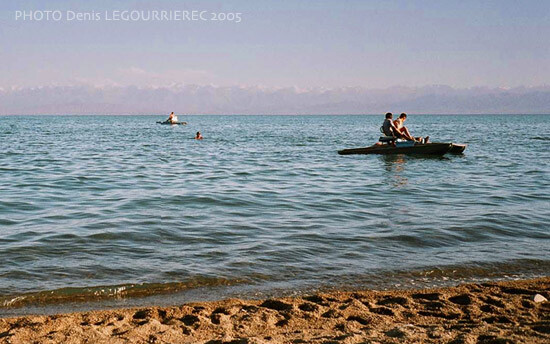 The east of the country's major attraction is the beautiful lake Issyk-Kul, in the Tian Shan mountain range (second largest mountain lake in the world). 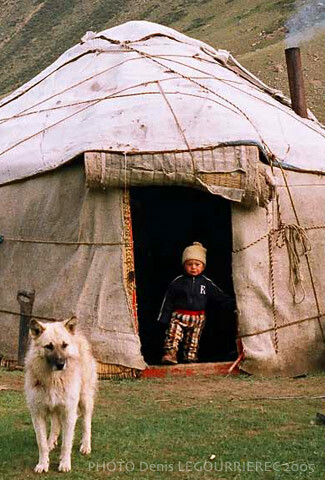 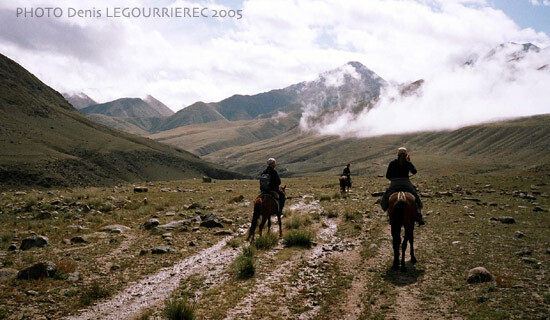 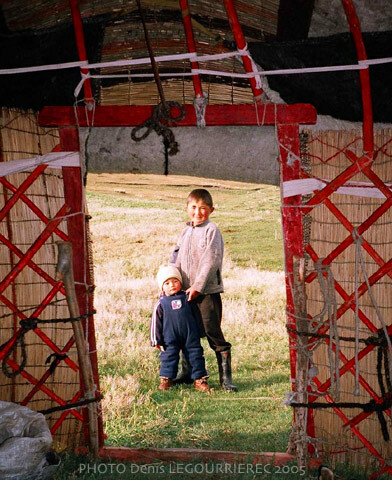 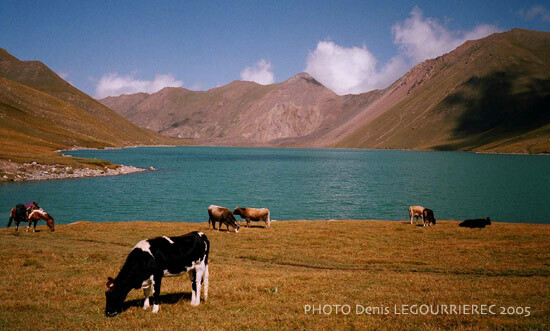 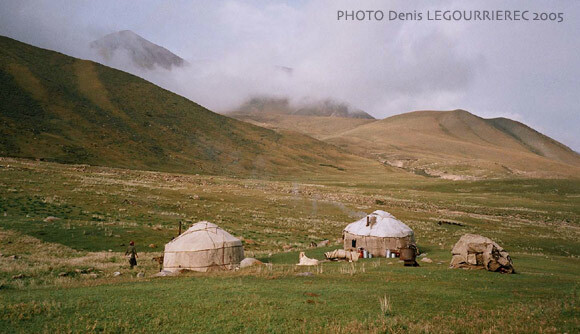 More of the wonderful mountain scenery of Kyrgyzstan can be enjoyed on foot or on horseback, while sleeping in yurts and discovering the traditional way of life of the Kyrgyz people. 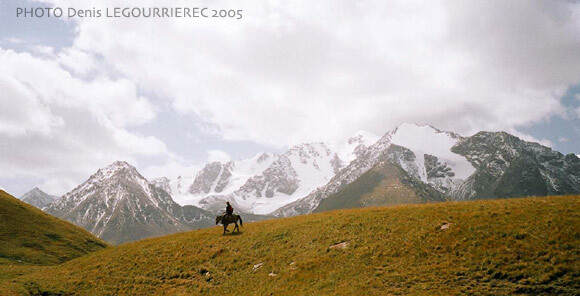 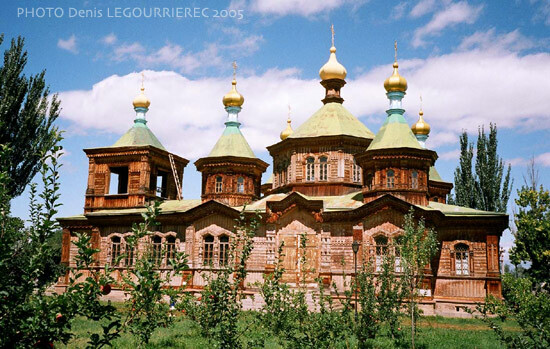 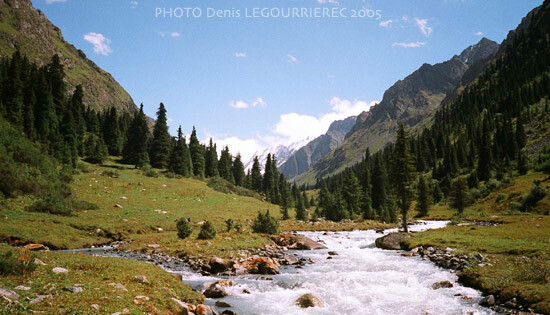 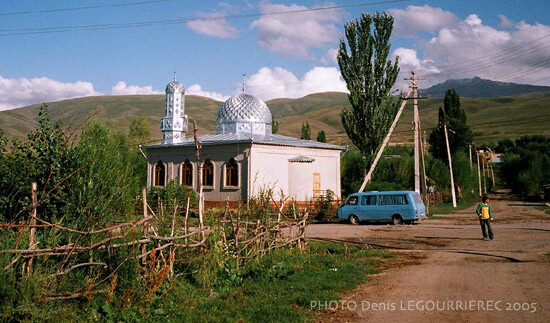 The pleasant small town of Karakol is a great starting points for hiking. 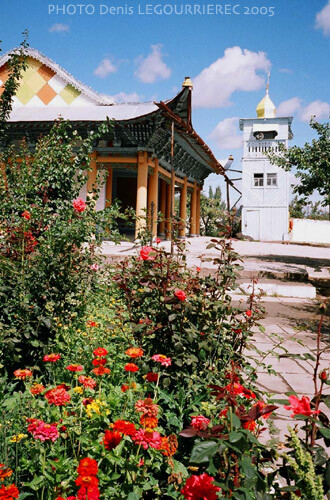 It is also the home of a Dungan community (descendants of Hui people who migrated from Northwestern China to the region in the 1870s).